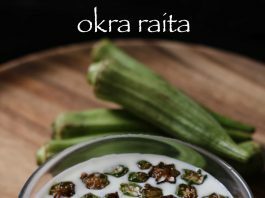 bhindi tambuli recipe | bhindi raita recipe | okra raita with step by step photo recipe. 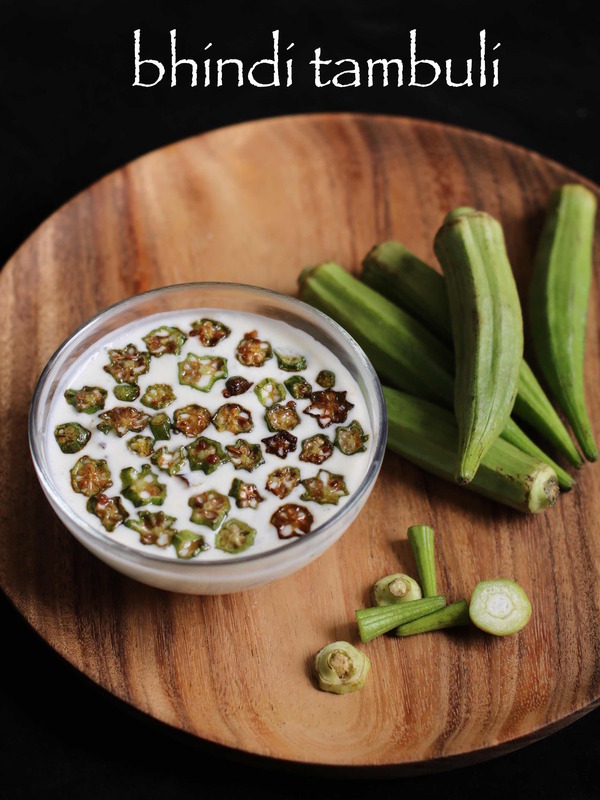 i love bhindi raita as the crispy bites of okras taste great with tempered yogurt. we south indians love tamblis and this is one among the most loved tambli recipe. 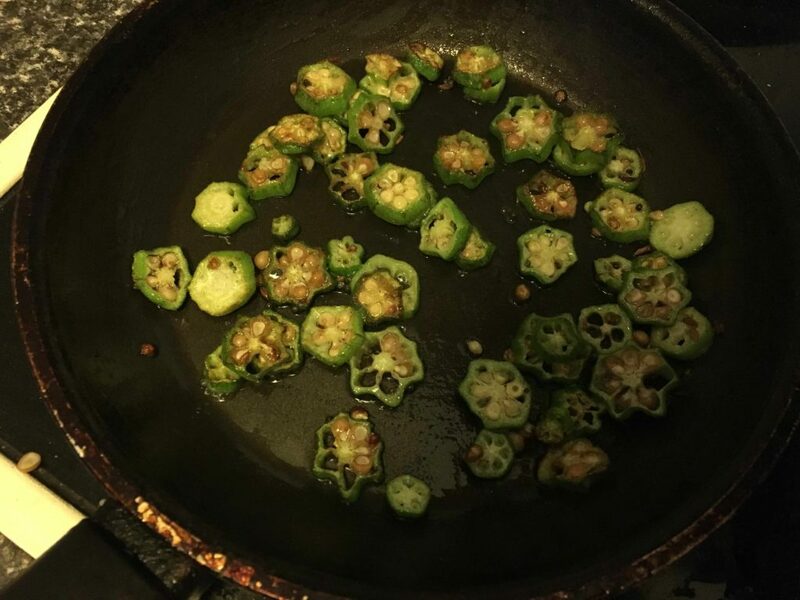 i am a great fan of bhindi so i have already shared bhindi masala recipe, okra fry, okra sambar. 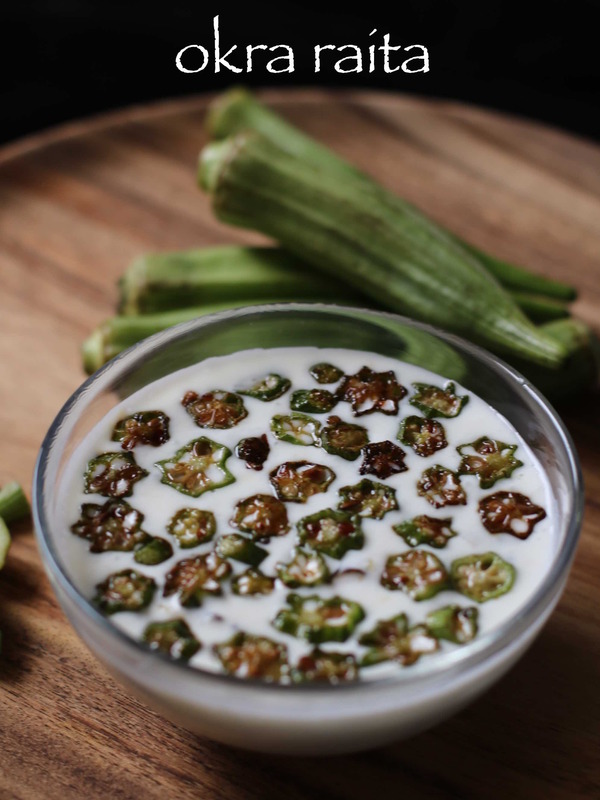 my mom used to always serve bhindi raita prepared with fresh curd. it taste great with plain steamed rice and also with pudina pulao, mushroom pulao. i do make curd rice as it is my favourite. 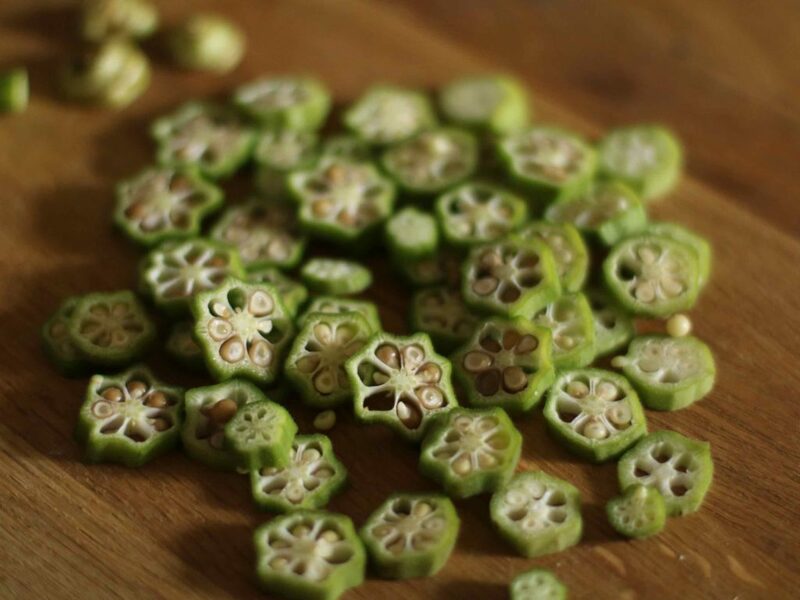 rinse the bhindi / okra in water well if it is too dirty. and wipe the bhindi off. else it will be sticky when you chop. chop them into thin slices and keep aside. make sure there isn't trace of water on your chopping board or on knife. heat 1 tablespoon of oil in a pan and fry till they turn crispy and golden brown. stir occasionally so as to uniformly fry. drain the fried bhindi on tissue paper. now whisk the curd. 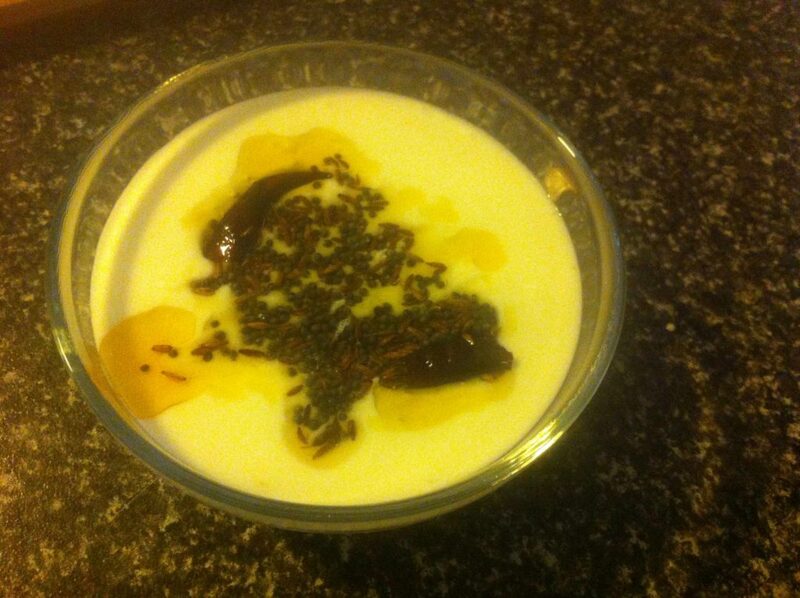 make sure you have taken thick curd and it is not sour. 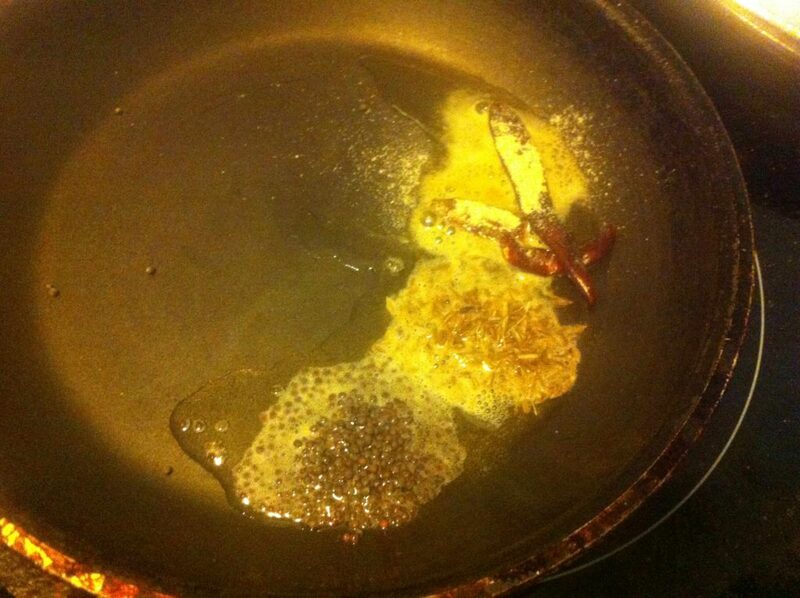 time to prepare tempering; heat the ghee add in mustard seeds, hing, cumin seeds and red chilli. 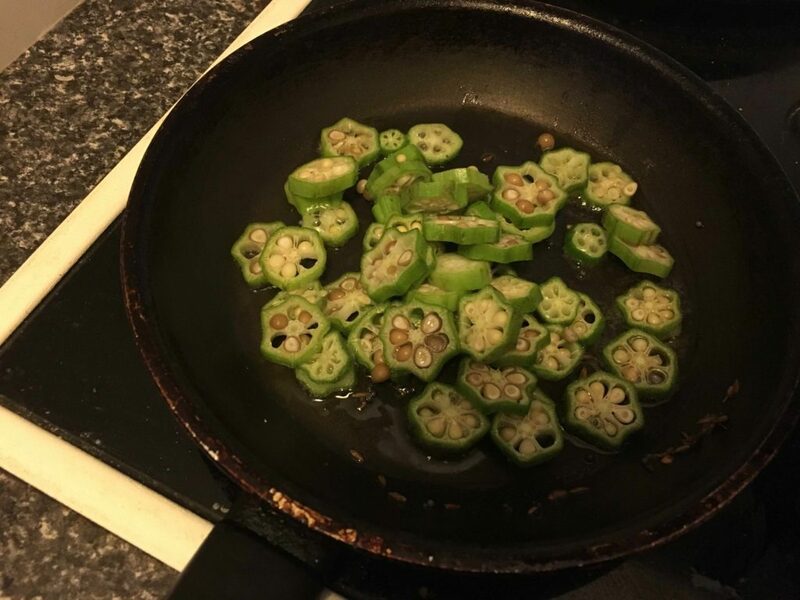 fry till they splutter. pour the tempering over whisked curd. add in fried okras over the raita. serve bhindi raita immediately with plain rice or with dal -rice, veg pulao, bisi bele bath. chop them into thin slices and keep aside. make sure there isn’t trace of water on your chopping board or on knife. to make it more beautiful, you can also slice them diagonally into thin slices. 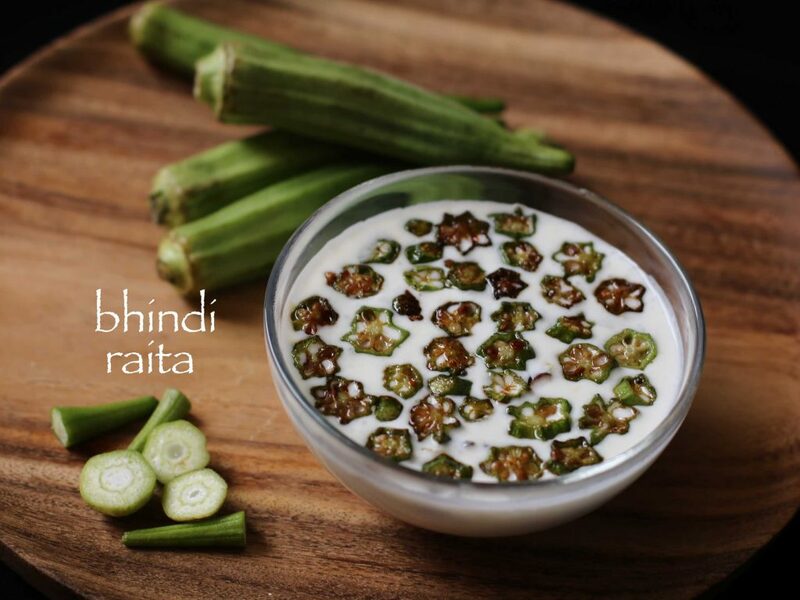 bhindi raita has to be served immediately else the bhendi will loose its crispiness and become soggy. to make it more chatpata; you can add cumin powder, pepper powder, chaat masala, amchur, red chilli powder etc as per your taste. One of my family’s favorite. Love the click. Looks so beautiful and YUM!